These 4 soaps made with wine are full of antioxidants! 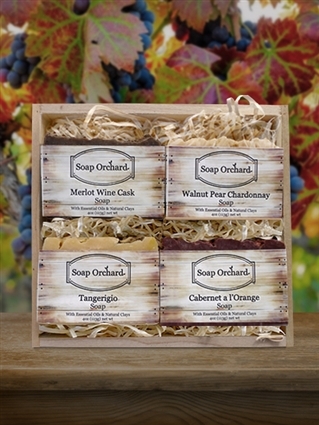 Say Happy Holidays with this combination of soaps. Traditional and Clean & Fresh balances these holiday soaps. Wake up your scenses with these uplifting essential oil soaps! Treat yourself to not only the scent of the fall season but of the wonderful benefits of Apple and Pear!